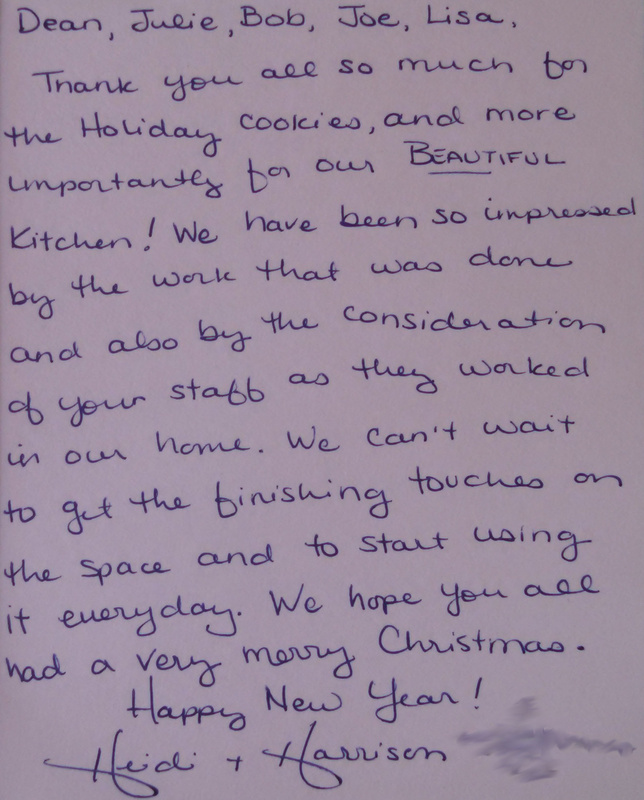 Thank you all so much for the Holiday cookies, and more importantly for our Beautiful Kitchen! the consideration of your staff as they worked in our home. We can’t wait to get the finishing touches on the space and to start using it everyday.